The Class of 2020 settled into their new on-campus digs over the last few days and will enjoy a pretty impressive schedule for Weeks of Welcome including a concert at Mizner Park, Women’s soccer match in FAU stadium (they won! ), Canoeing Trip, Pool Party and a Roller Rave in the Rec Center. Program Board is doing a school spirit event called “Bluesdays” on Tuesdays, a great title that I hope can develop into something more than giving out t-shirts if that’s all it is. WOW culminates in tailgating for this season’s first home football game vs Southern Illinois on September 3rd, plus at halftime the 2016 Homecoming theme will be revealed. More on Homecoming (and how to improve it) in a future entry. But that’s not what I really wanted to talk to you about today. Florida Atlantic University’s incoming freshman class boasts the highest GPA in the university’s history. For the fall semester, the average high school GPA for first-time-in-college (FTIC) students is a 3.96, up from a 3.82 last fall. FAU received more than 20,500 freshman applications and more than 8,300 transfer applications for fall. To expand on that a little bit, according to FAU’s freshmen admissions requirements site, the incoming FALL FTIC GPA range was 3.74-4.37. Wow. If you didn’t quite get there, my understanding is that students were directed to apply for Summer admission where the GPA range is 3.42-3.9. Throughout the course of Brogan's 6 year tenure, the average FTIC GPA dropped steadily from 3.4 to 3.0, then rebounded to 3.4 right before he left. However, applications roughly doubled from the year he started until he resigned. Under Saunders - who again was hired because she was an academic and could shore up that side of the house - we jumped roughly from a 3.4 to a 3.7. Can't say she didn't make strides there. Applications again doubled, this time in a single year, because of the football stadium (remember that when the detractors say the stadium was a waste). Applications hovered in the 26-28k until her final, to be blunt, disastrous year when all those scandals and poor PR responses could be blamed for the nearly 8k drop-off. Enter President Kelly, who in two years has raised the GPA by ~.1 per year, from 3.7 to 3.96. If he continues this way, it's certainly reasonable to think we could surpass the much-coveted 4.0 GPA watermark. By comparison, as best as I can find, UF has an average GPA of 4.35 for its FTIC; my understanding is that they’ve hovered around that number, between 4.1 to 4.3, in recent years. I don't know if FAU could go up that high into the 4.3 territory but it's at least nice to see we've closed the gap. Maybe our ceiling is ~4.1, though I hate to say we couldn’t climb too much higher when 10 years ago we were averaging a 3.3 and thinking our ceiling was a 3.5 or 3.6 BECAUSE places like UF and FSU existed, not to mention University of Miami or nationwide public Ivies and the actual Ivies. Now, much has been written about the changes to admissions policies at FAU and about being more selective. A large part of that reason was of course FAU losing $7M in funding because of poor 4 year graduation rates, despite a handful of articles (New York Times Forbes, TIME, Washington Post), noting national trends where students are taking an average of five years (with six not being uncommon) to complete college instead of four for a variety of reasons including millennials taking their time to avoid debt. Essentially we got dinged for something that’s a national trend, but okay. We righted the ship enough to get money back – you may have read recently that we were tied for No.1 in the state with UCF - plus we got shiny new high GPAs to brag about. Some will try to temper those flames with rumors that FAU is attracting students who would have traditionally gone to places like UF yet they’re using us as a stepping stone to get ultimately end up at UF anyway and transfer after the first year or two. According to our Common Data Set for 2015-2016, 77.5% of freshmen who entered in Fall 2014 were enrolled at FAU in Fall 2015, though that doesn’t automatically mean that 22.5% transferred. The university looks at these in terms of 6 year cohorts, so we wouldn’t know until 2020 if our freshmen class of 2014 with the 3.73 GPA suddenly got flightier than previous classes. What I did find now is that this April 2014 report by the FAU Admission & Retention Committee shows between 6.6-7.3% of entering freshmen since 2002 have gone on to graduate at other state university system institutions yet the transfer rate is even lower, between 2.1-3.0%. The greatest result of our classes, even if it’s low compared to other institutions in the state, is that students graduate here at FAU. The next biggest reason? They just leave. Who knows why. Maybe they’re tired of college. Maybe they have a child or a sick parent to take care of. I’m not sure how in depth this office goes to collect this information but in a sense it doesn’t matter. They didn’t stay. So obviously we want to continue to attract these students, to attract even better students, and to retain them after they get here. How do we do that? Well, plenty of options. For instance, I expect FAU will consider bragging about this 3.96 GPA on a billboard facing the major highways now; after all, they did with the “No.1 in Florida” thing (which I whole-heartedly approve of, don’t get me wrong). And that’s important because we’re still fighting against this notion that FAU is not a good school and you’re only rehabbing your academic reputation to transfer out (which is only true for 2-3% of students according to our data, as noted above) or because you’re geographically-bound. 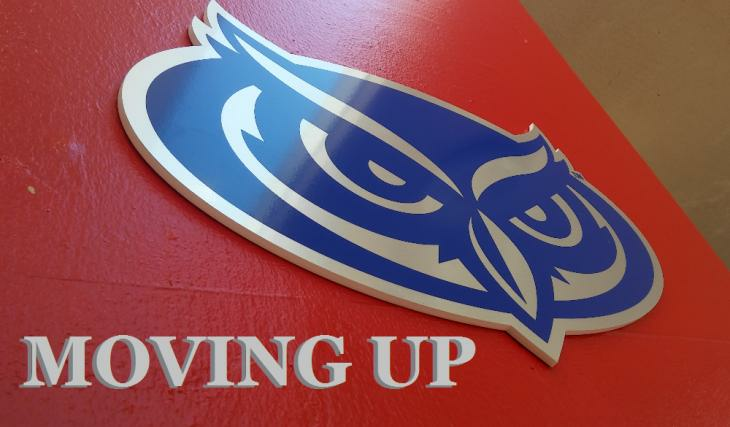 We need to put out there, often and loudly, that FAU is a very respectable academic institution to send your kids to… even if we have to play it up a little bit. Impressionable parents and potential students drive those highways every day. We need to paint a positive image on social media or the experience here as well as our academic accomplishments, including that in the Research Park. Our ranked programs. Our medical school. Our Honors College. And yes, even our football team (when they start winning again). It gets harder (aka more expensive) from there. We still need to address Greek Housing, our Student Union, our athletic facilities. Build our alumni network, improve Homecoming. Off-campus we need to develop 20th Street, create affordable housing for current students and alumni. We need to expand public transportation in and around campus. We need to make the overall city better for young people, create more entertainment and nightlife options, to create a place where students not only want to come for 4 years, but settle here afterwards. The university community needs to become way more active in local politics, be present at City Council meetings, and guide the conversation of where Boca Raton is going in the future. Take ownership of the school, take pride in the city, and everything will improve. Gainesville didn’t become “G-ville” by having all the UF community operate unilaterally to the local government; rather, they wove themselves into the fabric of the community. We have influence, we have consumers, we have the college graduates and professionals they want to populate their community. We just need to capitalize on it. Your blog again was impressive and on point. Especially the end. Question is how do we convince the students, and the academics to get more involved in local politics to work with the city to help shape the future of boca. Mary Jane Saunders left after PR problems but you have to remember, FAU was up for accreditation recertification while she was there. The reviewers, auditors........ found no exceptions. There was no recommendations for improvements. This was under her watch. Very very few universities and colleges are able to get through recertification with no exceptions and have no recommendations. I think the number is minuscule. That was an amazing thing to happen to FAU. Question is how do we convince the students, and the academics to get more involved in local politics to work with the city to help shape the future of boca. The question of how to involve students and university community to become more involved in local politics is not easy but likely starts with the people who are already involved in politics on some level - that is to say, Student Government, the Board of Trustees, etc - and those active in the community - like the Greeks. You find out what they care about and what they're willing to fight for. You know, we hired a former Boca Raton Deputy Mayor Constance Scott as Director of Local Relations. I think it was a good move for FAU moving forward and these plans but I'm not sure exactly what she does on a daily basis or if she's working as needed for consultations on town-and-gown matters. I feel like this would be a good initiative for her to undertake. Mary Jane Saunders left after PR problems but you have to remember, FAU was up for accreditation recertification while she was there. The reviewers, auditors…….. found no exceptions. There was no recommendations for improvements. This was under her watch. Very very few universities and colleges are able to get through recertification with no exceptions and have no recommendations. I think the number is minuscule. That was an amazing thing to happen to FAU. Agreed. And I know she played a part in getting the stadium here. I was mostly trying to frame it in terms of GPA and applications though.